FreelanceHair.co.uk, hundreds of places for the perfect cut, featuring freelance hairdressers, hair and beauty salons and hairdressing products. Our directory has been providing a service to hairdressers since before 2011, and has recently been relaunched May 2018. We are seeking cooperation with hairdressers, brands and hairdressing publications and organisations. Please contact us for details / proposals. We are based in Swindon, Wiltshire. Designed and built by owners Rubber Dragon website design, registered address Hermes House, Fire Fly Avenue, Swindon, SN2 2GA. No postal enquiries please. Before May 2018 , the directory included simple text listings. Platform was Ruby on Rails originally launched February 2011. A copy of the old website shown below. 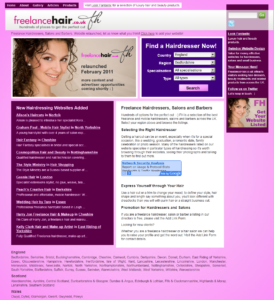 FreelanceHair.co.uk attracts visitors looking for hairdressers. The easiest way to get noticed is to add a free listing (for hairdressers, salons and hairdressing websites only). Please contact us directly re advertising opporunties. Colourful hair in motion, thanks Pexels for image. 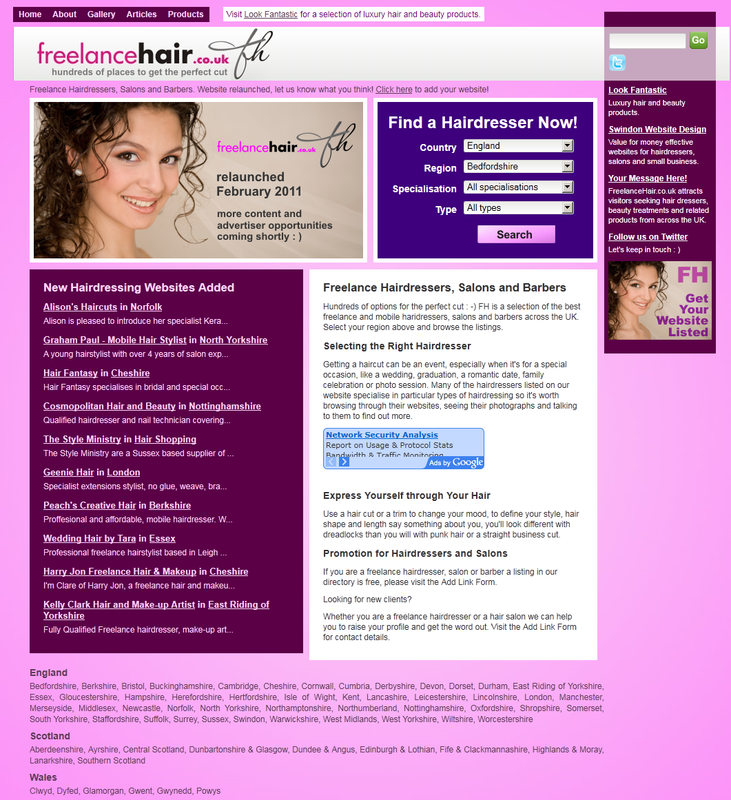 FreelanceHair.co.uk is a selection of the best freelance & mobile haridressers, salons and barbers across the UK. Select your region above and browse the listings.